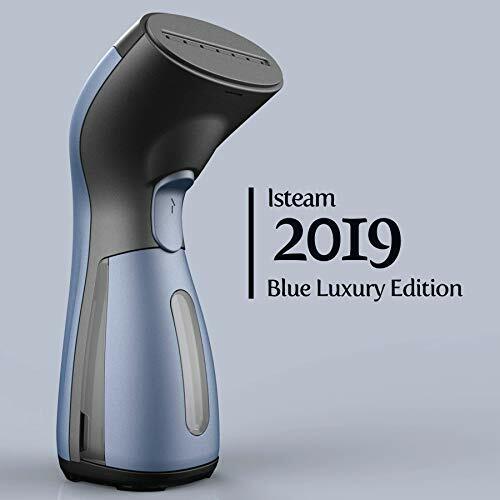 FULL STEAM AHEAD - No wrinkle is too tough for your iSteam 2018 Generation steamer! The ready-to-go water tank heats in 25 seconds and powers 10 continuous minutes of smoothing steam. Gently iron all your clothes, curtains, sheets, and more! Plus, stay dry and safe thanks to Spill-Proof Technology and Automatic Safety Shutdown! INNOVATIVE 360° TECHNOLOGY - Ordinary clothes steamers tend to spurt or leak water, which can stain and even ruin your garments! 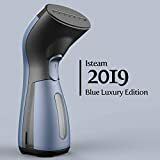 But the iSteam 2018 Generation features an Electronic Pump System that stops water from spitting and spilling! Iron from any angle - the advanced design even allows steaming upside down! Satisfaction guaranteed- spotless results guaranteed! 12 months warranty and an amazing customer service at your order to provide fast, efficient and professional support.